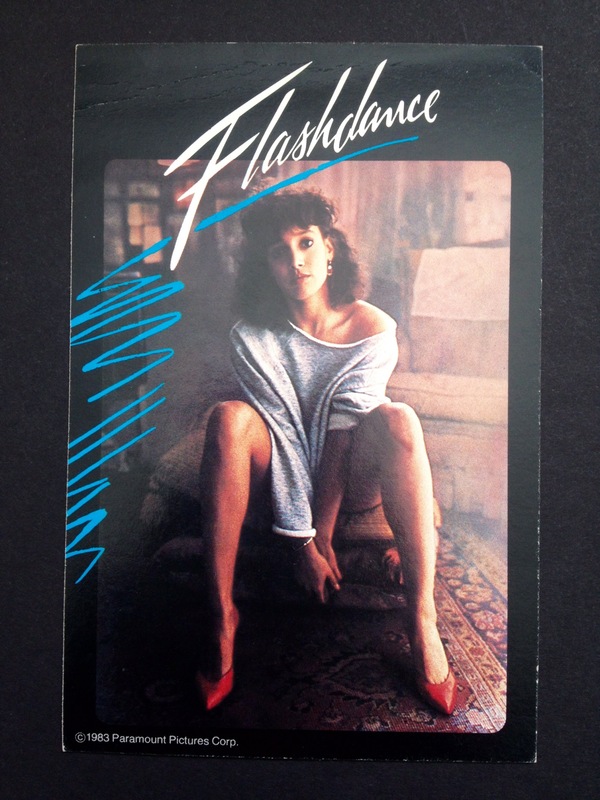 I found an old promotional postcard from my father’s video store for Flashdance. 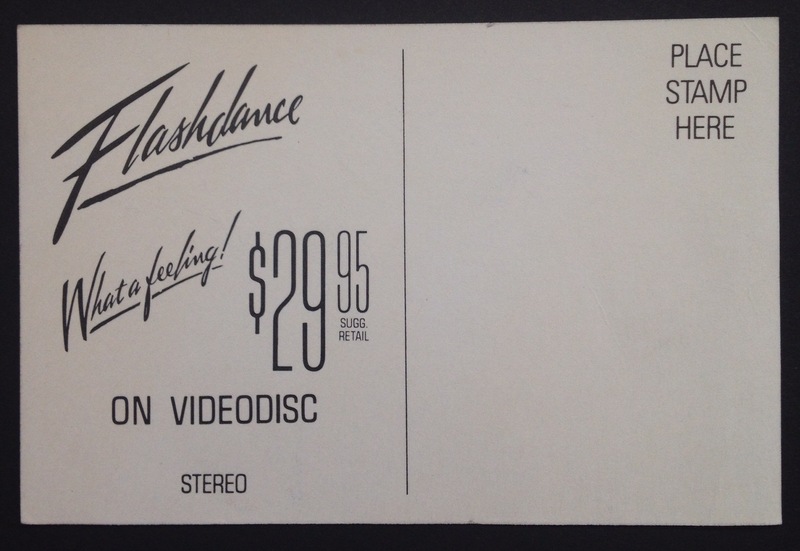 On the back, it says “On videodisc” for $29.95. 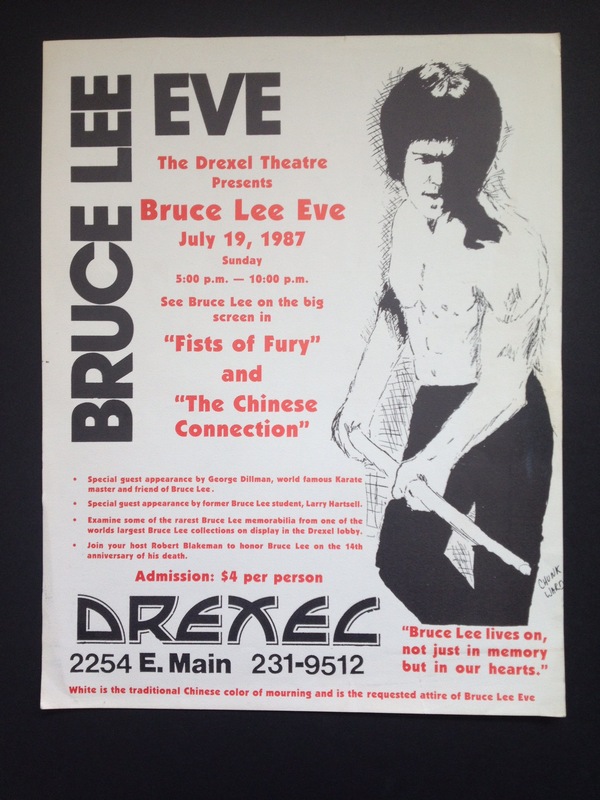 I attended a Bruce Lee Eve film festival back in 1987. Here are some flyers from it. It was the first time I saw two of his movies at the proper aspect ratio of 2.35:1. 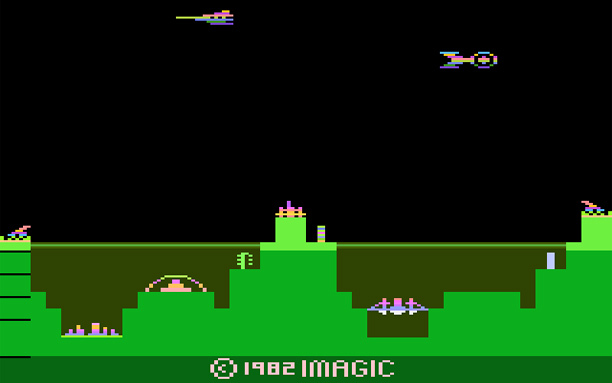 Until then, I had only seen the pan-and-scan versions on Beta and VHS. The 35mm prints were really bad though. Lots of splices and scratches. 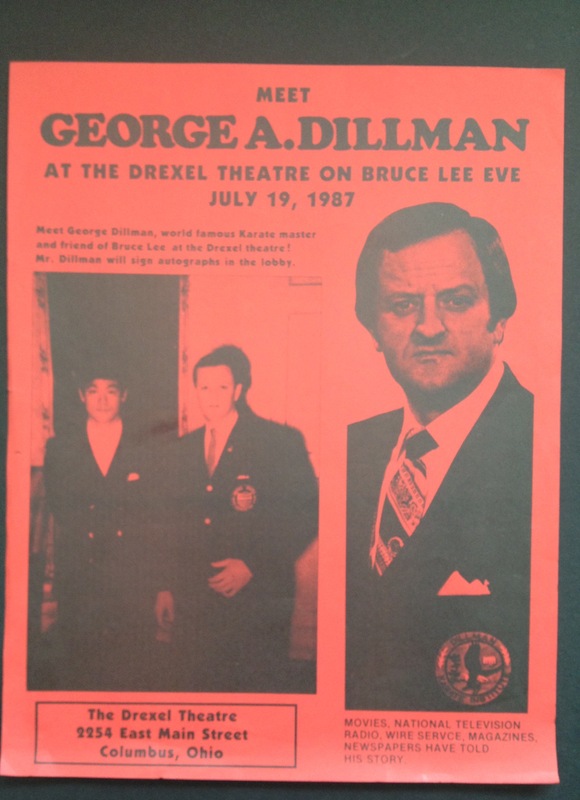 Of note is George Dillman. My initial impression of him wasn’t good. 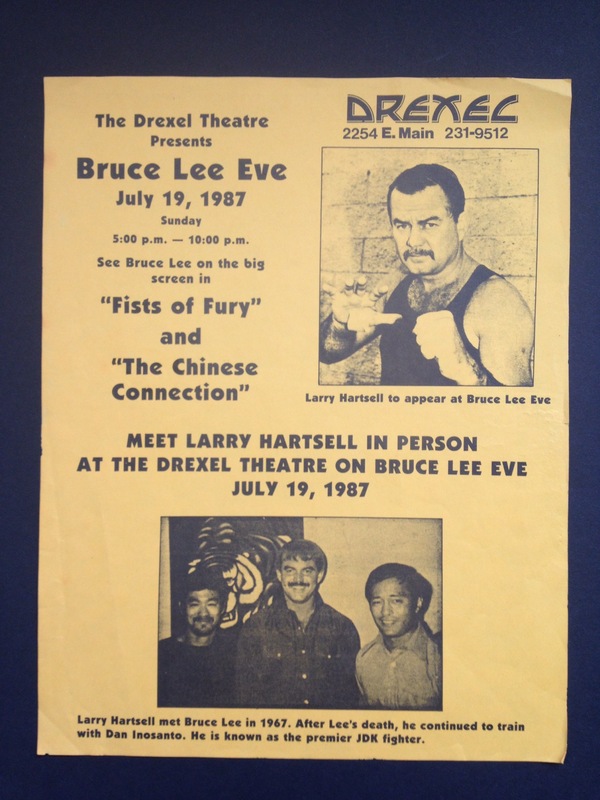 He struck me as a man who’d had his picture taken with Bruce Lee and then claimed to be a close friend (see flyer below). He was cocky and standoffish. Flash forward 30 years and a quick Google or YouTube search reveals just the type of “martial artist” he is. I found this drawing I did in high school. It was from a step-by-step how-to draw. I actually have zero artistic ability. I wish I had put more effort into drawing. There are a lot of ideas I’d like to put to paper. 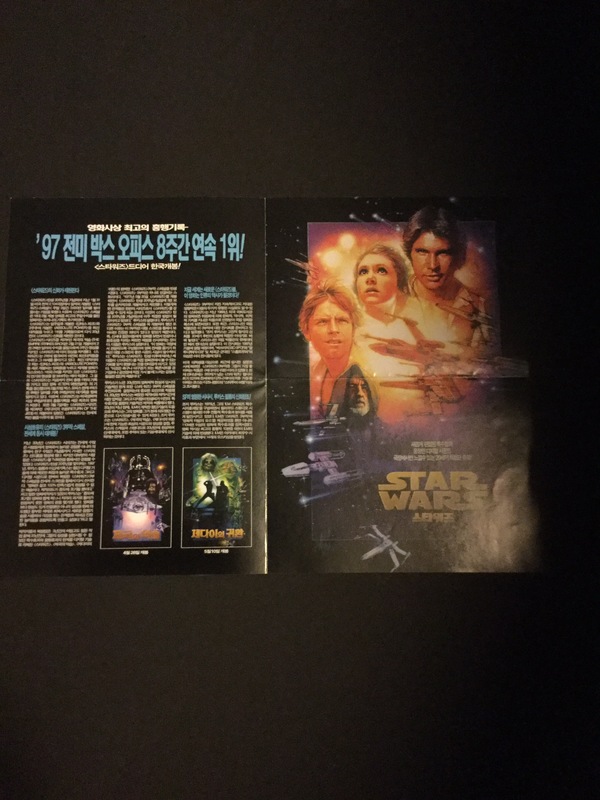 I happened to be in Korea in 1997 when Star Wars: A New Hope Special Edition was released. This is a handout I got from the theater when I went to see it. 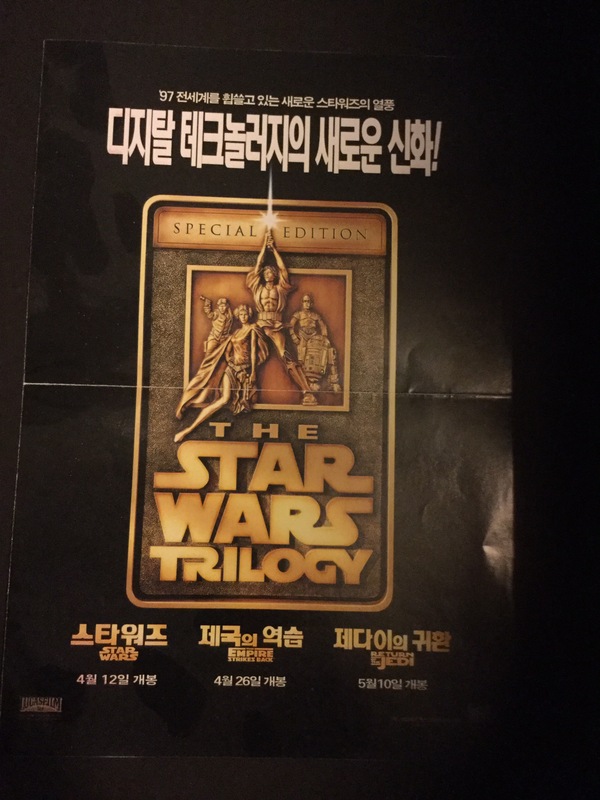 Just in case you’re wondering, the film was in English with Korean subtitles. 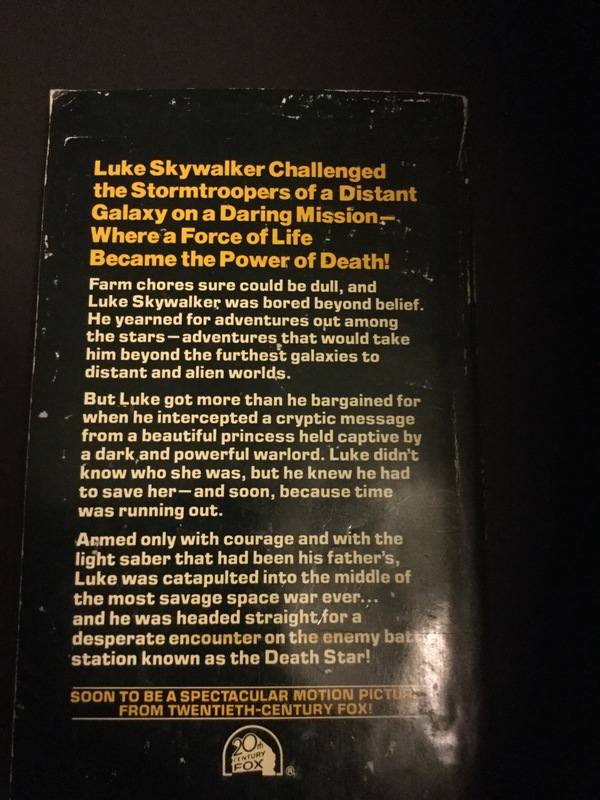 I ran across this pre-movie release novelization of Star Wars (note back cover “Soon to be a spectacular motion picture…”, the understatement of the year). 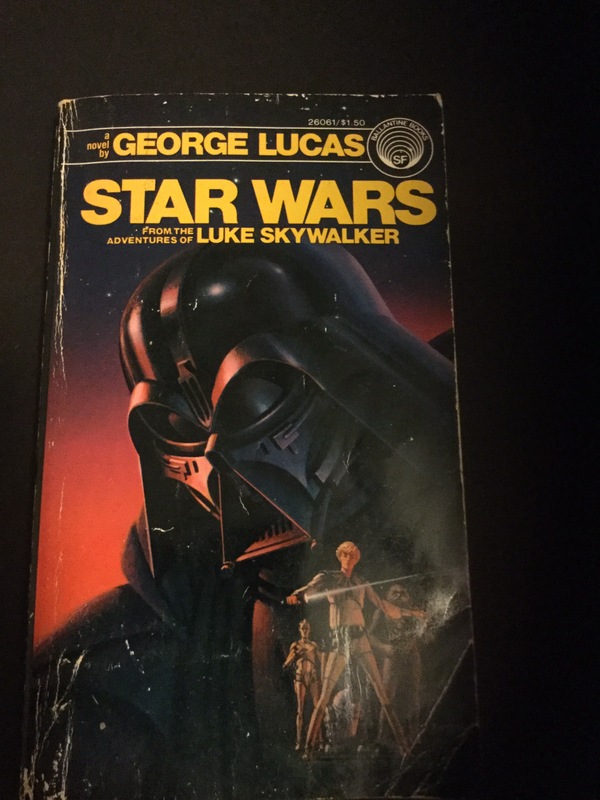 December 1976, five months before Star Wars was released. I wonder how many people read the book before seeing the movie. I love the artwork on the front, obviously not how Vader appeared in the movie. I think he looks more sinister here. 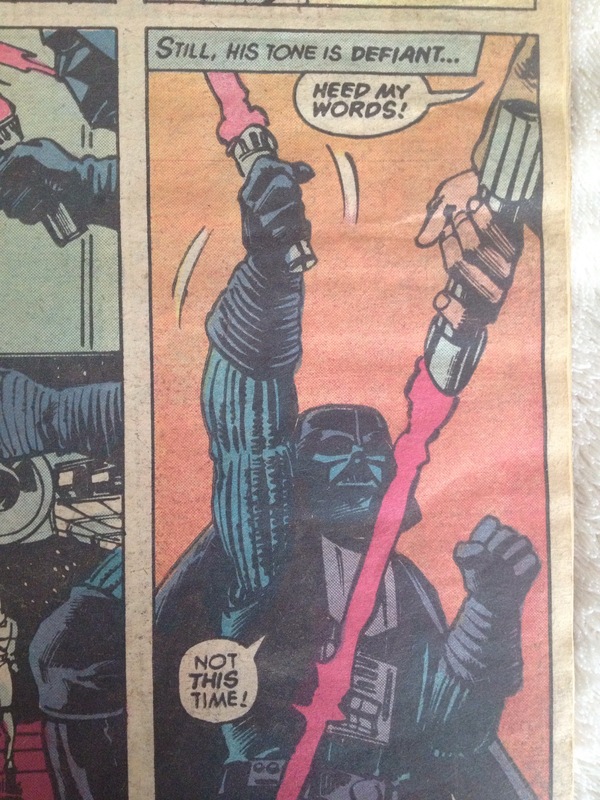 Just going through some old comic books. 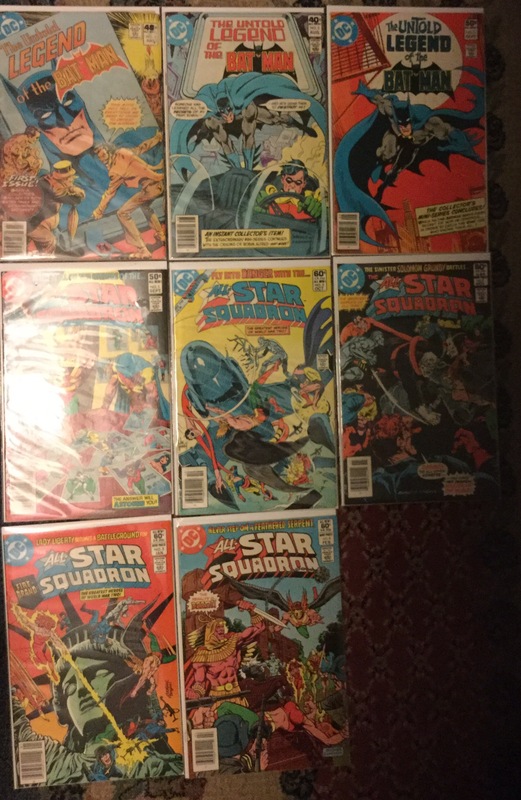 These date back mostly to the late 70s and early 80s, but there are some newer ones, too. Not worth much, but great for nostalgia. 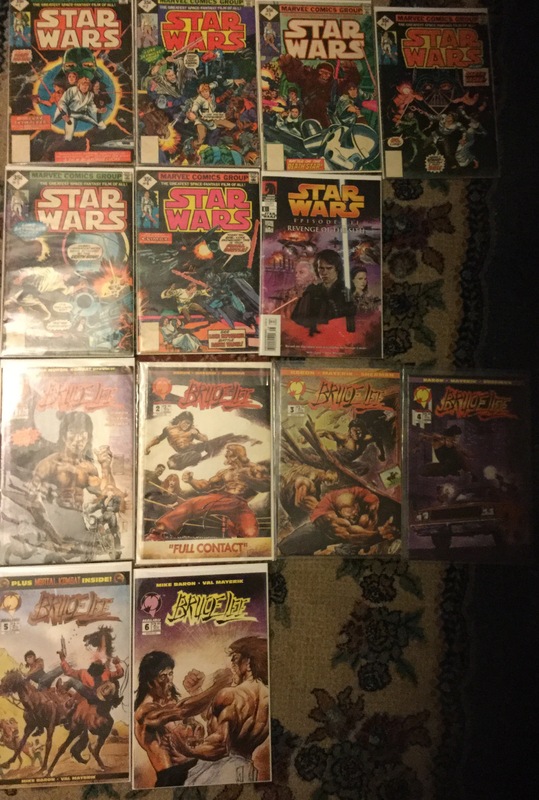 I own the Marvel Comics movie adaptations of Star Wars. Mine are the 35¢ Reprint versions, worth very little. 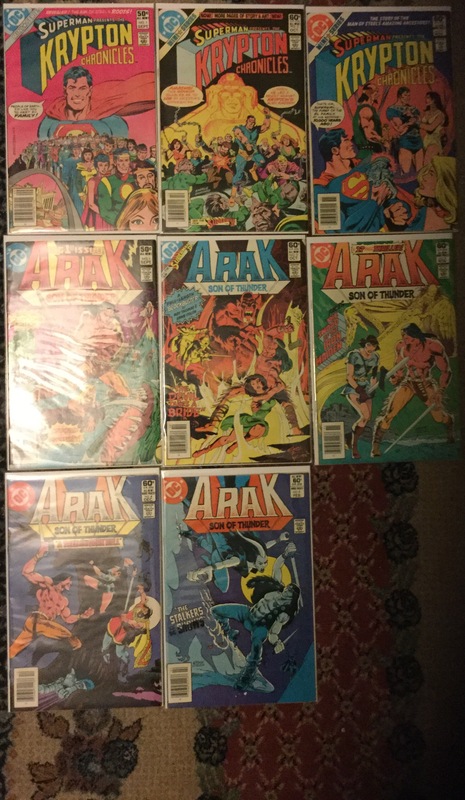 I also have the rerelease of these by Dark Horse Comics. 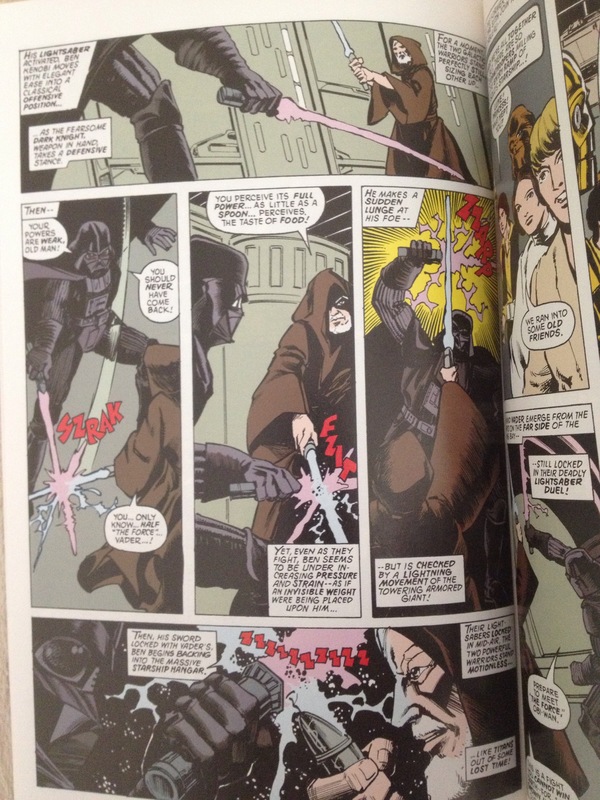 Despite being the same artwork, there is one huge difference I noticed–the lightsaber coloring. 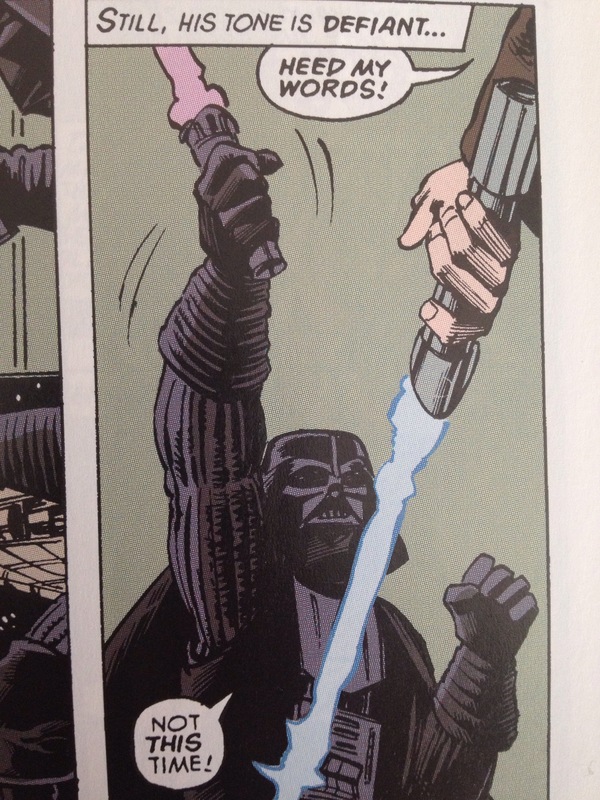 In the originals, both Luke’s and Ben’s lightsabers were red. In the rerelease, they are the proper color–blue. As far as I can tell, all else is the same aside from more vibrant colors and higher quality paper stock. 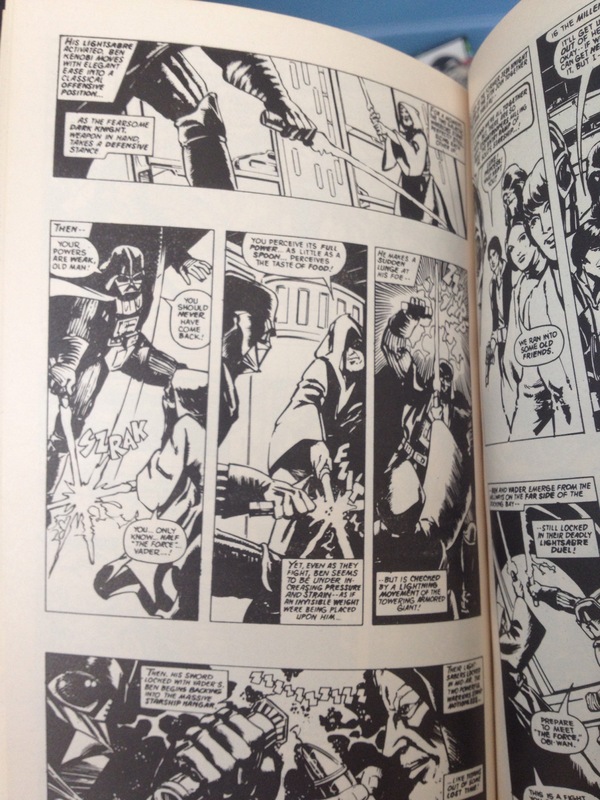 I also have a smaller Marvel comic in black and white, presumably the template for the color versions. A program that a friend of mine wrote on the Commodore 64 to promote my father’s expanding video store business. This would often play on a TV in his main store to attract potential partners. He also used a printed version of it when he met with people. 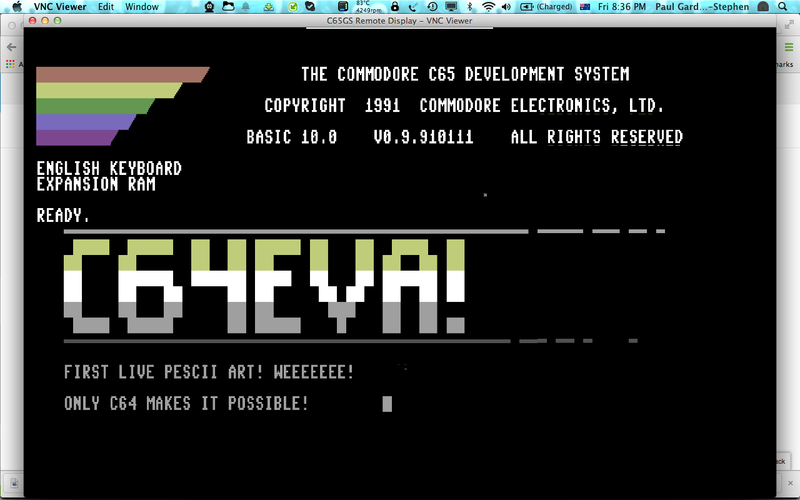 This is screen capture of the program running in VICE, an emulator for Mac OS X (et al). I pulled the program from the original disk I had with a device called the ZoomFloppy that interfaces modern computers with the Commodore 1541 disk drive. 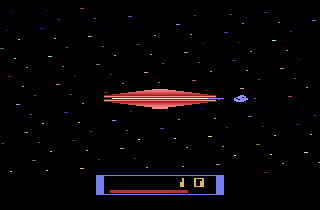 A gallery of sprites I made on the Commodore 64 circa 1984. I used “Sprite Magic”, a type-in program which was featured in a magazine called Compute!’s Gazette, to create the sprites. These were to be used in an adventure game, but I never did finish it. This gallery is taken from an actual 5 1/4″ Commodore 1541 floppy disk that I copied to .d64 format for use on an emulator on my MacBook. When I was in high school, one of my dreams was to become a film maker. I had made some stop-motion animation tests in Eighth Grade, mostly with a black-and-white video camera and Betamax machine but also some 8mm film (which never got developed). I’m not sure if the videotapes still exist or not, but I did find one tape a few years back that contained a martial arts (ninja) movie I made in high school circa 1985. The tape had deteriorated so bad that it was barely salvagable. The in-camera edits caused many dropouts and glitches because the Beta VCR we used didn’t have a flying erase head. I edited it a bit with some sound effects and slow motion just to play around with iMovie and get it down to a tolerable length. I also added the original soundtrack (also salvaged from an old audio tape) back in since the copy I had was an older edit. No amount of editing or digital restoration can help the content though. Just watched the trailer for “The Frame”, an upcoming movie by Jamin Winans. It’s hard to tell much about the movie from the trailer, but if this movie is anything like Winans’ previous films, then it will certainly be worth seeing. Jamin Winans is known for the movie “Ink”, which is one of my favorite movies of all time. The only reason I don’t rank it number one is because that spot is reserved for “Star Wars”. I first saw Star Wars (now Episode IV) during its premiere run in 1977 when I was in Fourth Grade. No matter how much critics berate it or how bad it really is, I’ll always remember it through a Fourth Grader’s eyes and the excitement I had watching it again and again. Over the weekend something pretty extraordinary happened. Ink got ripped off. Someone bit torrented the movie (we knew this would happen) and they posted it on every pirate site out there. What we didn’t expect was that within 24 hours Ink would blow up. Ink became the number 1 most downloaded movie on several sites having been downloaded somewhere between 150,000 to 200,000 times as far as we can tell. Knowing there’s absolutely nothing we can do about it, we’ve embraced the piracy and are just happy Ink is getting unprecedented exposure. As a result, Ink is now ranked #16 on IMDb’s movie meter and is currently one of the top 20 most popular movies in the world. This all started as a result of the completely underground buzz that you’ve each helped us create. We’ve had no distributor, no real advertising and yet the word of mouth that you’ve generated has made the film blow up as soon as it became available worldwide. So many of you came to see the movie multiple times, bringing friends and family and many of you have bought the DVD and Blu-ray from us. All of this built up and built up and suddenly it exploded. We don’t know exactly where this will all lead, but the exposure is unquestionably a positive thing. Ink hits Netflix, Blockbuster, iTunes and many more tomorrow! Remember to get your signed copies, t-shirts and posters at the Ink Store. Thank you so much for the constant love and support. Winans has also made numerous shorts, including “Uncle Jack”, which is my favorite from him. Just finished watching the 1984 Giorgio Moroder version of Fritz Lang’s 1927 futuristic dystopian classic “Metropolis”. I had seen the original years ago, but never the 1984 Moroder version. I have to admit, I quite enjoyed the 80s soundtrack – a double dose of retro – though the version was panned by many critics. I’ve always enjoyed Moroder’s work, especially his movie soundtracks — Scarface, Midnight Express, Electric Dreams, Flashdance, Top Gun, just to name a few. Many scenes from the original were lost over time, but have been rediscovered. Moroder’s version from 1984 did an admirable job of reconstructing the film from what was available, but was still very incomplete. According to Wikipedia the run times are: 153 minutes (1927 premiere, lost); 82 minutes (1984 restoration); 118 minutes (2002 restoration); and 148 minutes (2010 restoration). The 2010 restoration is the most complete to date after a 16mm negative was discovered in Argentina containing footage previously thought lost forever. I ran across this the other day and wanted to repost it. 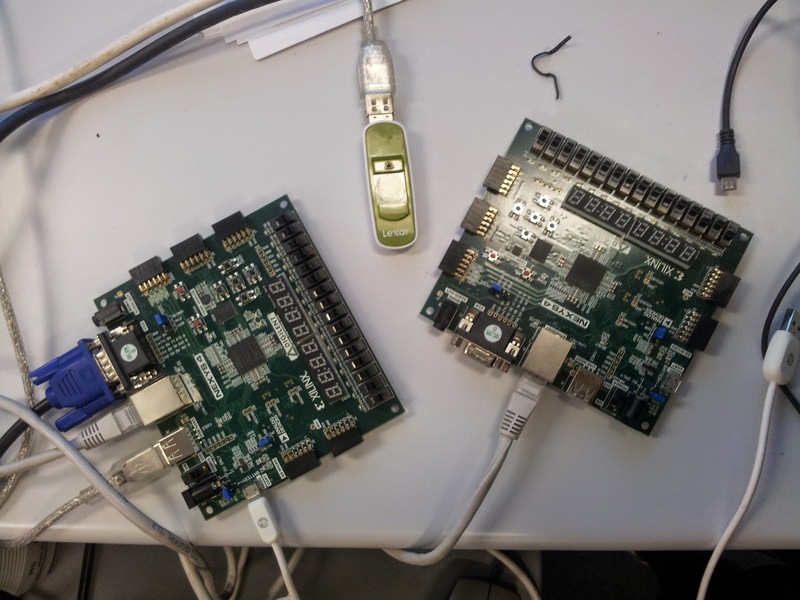 It’s a project by Dr. Paul Gardner-Stephen to develop a Commodore 64 / Commodore 65 compatible system in a field-programmable gate array (FPGA). There have been other similar projects for the Commodore 64, but not a hardware version of the Commodore 65 (a successor to the C64, but was unreleased to the mass market, with only a few of the prototypes being sold) that I know of. Specs for the board are here (on the Digilent website – not an advertisement, just the first site I ran across). I’m looking forward to seeing a completed version of a hardware (FPGA) Commodore 64. Hoping to finish our first novel soon. As a follow-up to my last post, I thought I’d post the authors’ video introduction to their interactive book 80 Days. Looks interesting. Kind of like choose-your-own-adventure books. I just read an article on CNN.com about “superbooks” (CNN’s term), interactive books that let you participate in the story. It’s an interesting concept, but is really nothing new. Another well-known interactive fiction work was Zork: The Great Underground Empire, also created on a PDP-10 in 1977-1979 by Tim Anderson, Marc Blank, Bruce Daniels, and Dave Lebling, MIT students at the time. 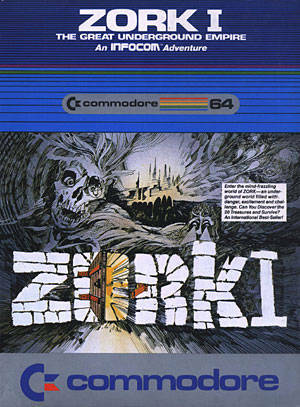 Zork was my first experience with interactive fiction. 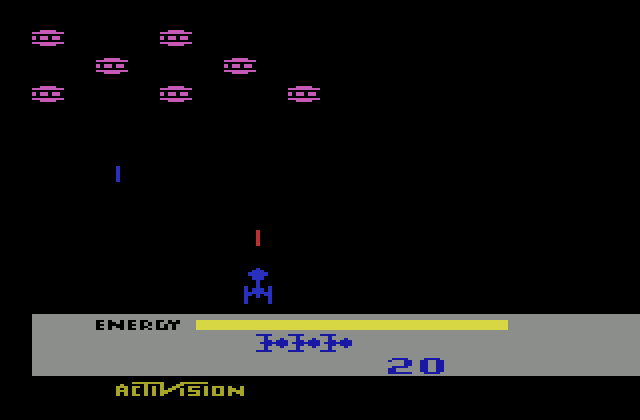 My father gave me the only copy he had for sale in his video store, the Commodore 64 version. I was surprised that the article mentioned nothing about the previous interactive fiction games and companies, especially popular through the 80s. Not to mention Graham Nelson’s fantastic (my opinion) interactive fiction authoring system Inform 7. After reading the article from CNN, I explored the inkle studios website (here) and found that Emily Short is a contributor to their work. Emily is well known in the interactive fiction community, working on the Inform 7 project and authoring several works of her own. Her WordPress blog can be found here. Very interesting reading. I’m curious to see how “superbooks” catch on with readers. I still enjoy the Infocom-style (et al) interactive fiction games. 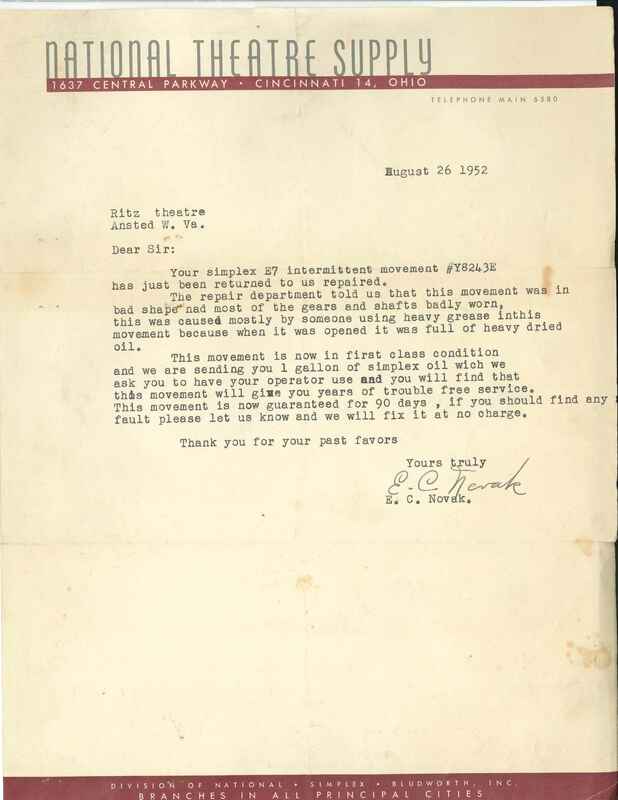 A letter dated August 26, 1952 we found in the projection booth of the old Ritz Theatre in Ansted, WV when my father was preparing to reopen it as Cinema 63 in 1978. 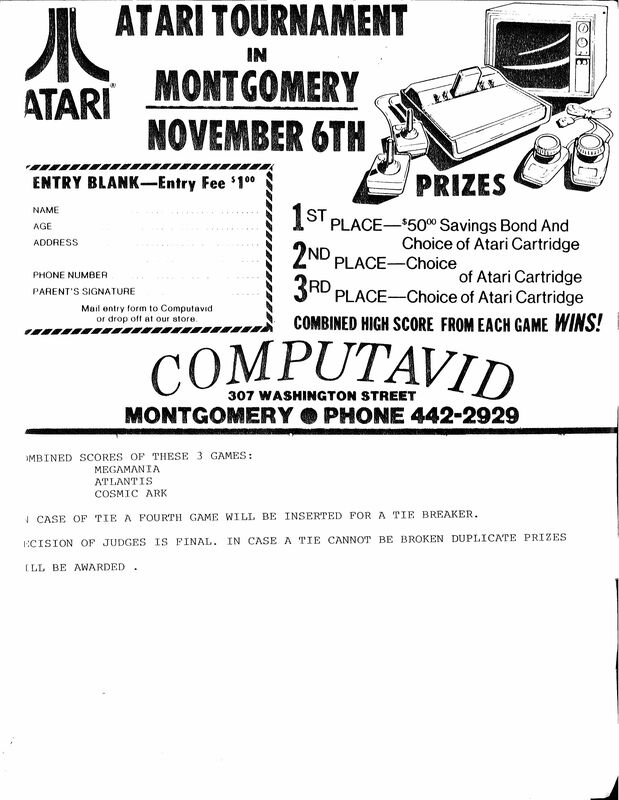 Flyer advertising an Atari game tournament at my father’s video and computer store, Computavid, on Saturday November 6th, 1982. 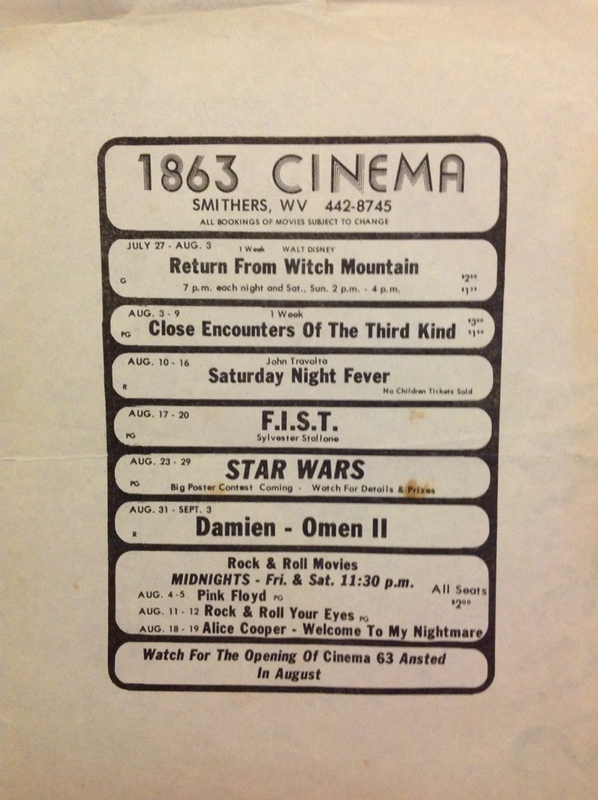 Various pictures of the 1863 Cinema circa 1979 and 2000. I read “Night Calls” a while back (twice actually) in Asimov’s, and I’m hesitant to ask this because I’m probably missing the obvious, but could you explain to me what it was about? I’m sure there’s something deeper, but I just didn’t get it. Thanks (and I hope I’m not coming across as implying something was wrong with the story). Nope, I’m not helping. You’re on your own. I thought you’d appreciate the inquiry. You didn’t have to be a d*** about it even if you do think it’s beneath you to explain what it was about. Sorry I f****** asked. Probably not very professional of me I know, but I included my response in this post in the spirit of full disclosure. I’m sure Reed and/or his fans will have issue with my comments regarding his attitude, but I dont care. It was rude and uncalled for. 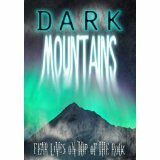 My short story “Lost Time” has been published in the Dark Mountains anthology. And my story “Eternal Memories” has been reprinted in the What Lies Beneath anthology. The anthology contains mostly dark horror, so the cover doesn’t really represent the content of my story. Nevertheless, I’m happy to see it in print again. 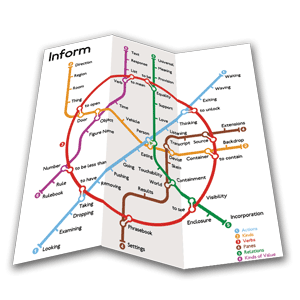 Inform 7, an interactive fiction authoring language/suite, has a new release. Cover for my upcoming anthology of previously published short stories, written with Thomas C. Johnson (together as Patrick Christian). A video tour taken 21 years after the closing of the “1863 Cinema”, my father’s theater in 1977-1979. We wrote the names of all the movies on the projection booth walls (the first part of the video). A friend of mine sent me this link about a 21-year-old author, Samantha Shannon, who has an upcoming novel The Bone Season, the first of a seven-part series. Is Samantha Shannon the Next J.K. Rowling? 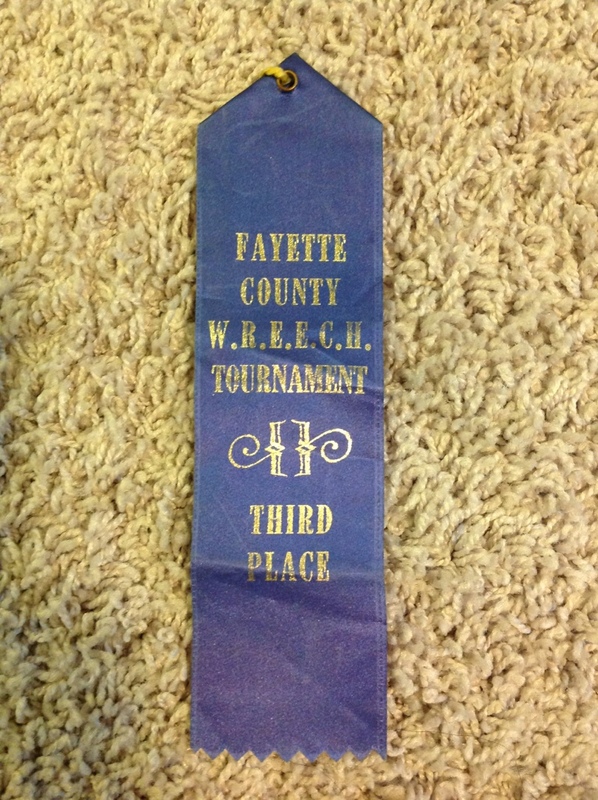 My 3rd Place ribbon from a county writing tournament in grade school (circa 1980-1981). 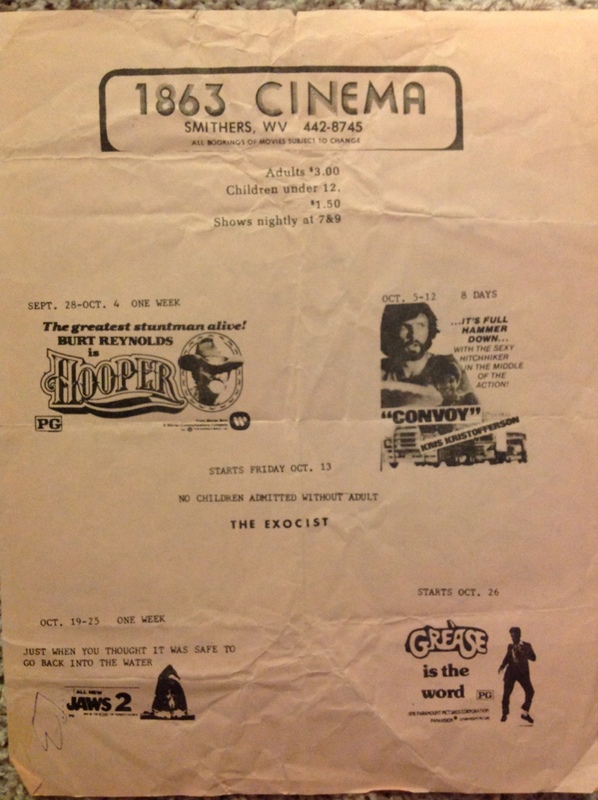 An original playbill from my father’s theater in 1978. 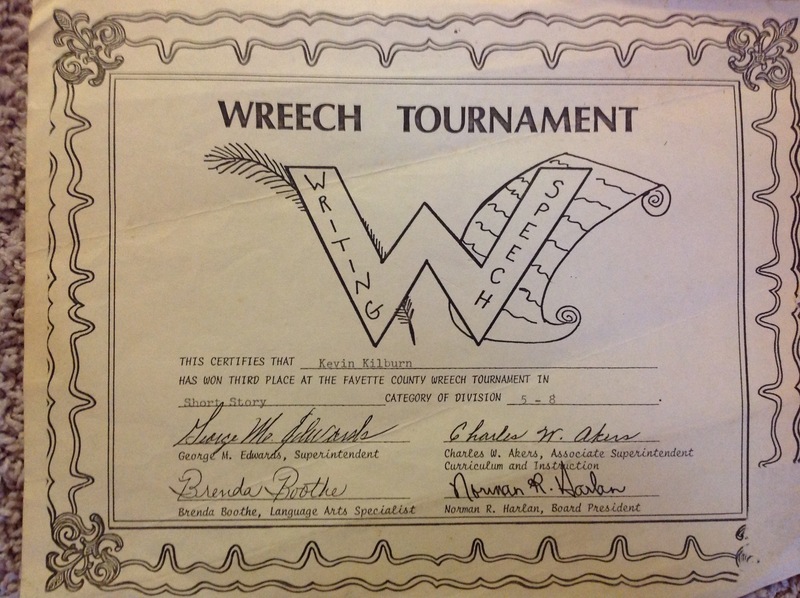 I just found my 3rd Place certificate from grade school (6th or 7th Grade) for the county WREECH tournament. It was for my short story “The Scientist, Mad?” circa 1980-1981. 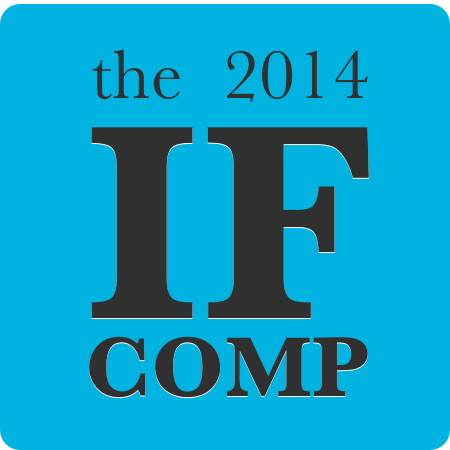 A very late post, but the 18th Annual IFComp voting ends today. Once again, I’ve missed the opportunity to enter a game into the competition (something that I’ve wanted to do since around 2001 when a friend and I started writing it). 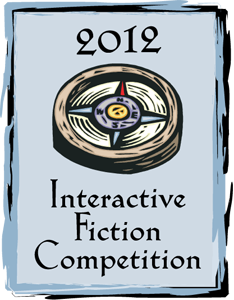 For the last seventeen years, the readers of the Usenet newsgroup rec.arts.int-fiction have held a yearly interactive fiction competition. For fans of the old Infocom games as well as for newcomers to the genre, the competition is a chance to enjoy some of the best short adventure games available anywhere. I just discovered on Amazon that K.C. 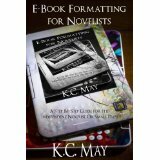 May, author of Venom of Vipers and The Kinshield Saga, has released a free Kindle book on how to format e-books. The process is a bit cumbersome, but her book is helpful in getting first-timers through the process. The only drawback is that it’s for Windows users only, but many of the programs referenced are in fact available for Mac (or a suitable alternative is available). 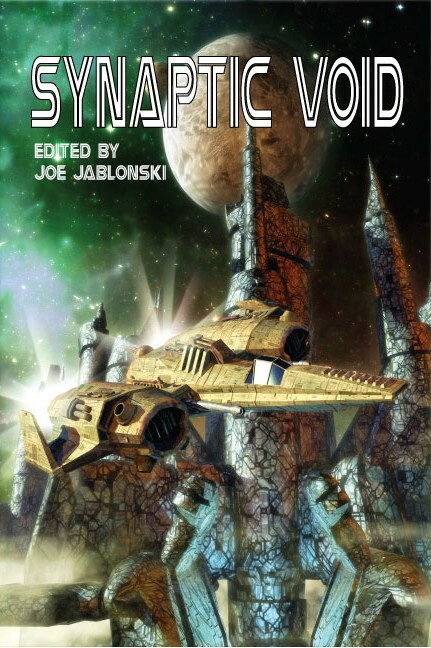 Synaptic Void, the anthology with my story, is finally out at Amazon. Unfortunately, it’s already sold out. I wasn’t expecting it out so soon and forgot to check for the past couple of week. One of my short stories (Graceful Exit) will appear in the upcoming Synaptic Void anthology along with a collaborative effort with Thomas C. Johnson (Binary). This anthology is now officially closed, and with some great stories, I might add. I just sent everything off to Chris, so hopefully it won’t be too much longer until its out! Many thanks to everyone who submitted. It’s going to be a great anthology! Stories in the Ether Issue 3 is available for only $2.99 from Amazon. The authors get royalties from the sales. My flash fiction work “Graceful Exit” has been accepted for publication. Not much to tell about it because it’s less than 1,000 words and “experimental” in that the format is part of the story telling. It will appear in the upcoming Synaptic Void anthology with “Binary” (writing as Patrick Christian – a collaborative effort with a friend of mine, Thomas Johnson). The Synaptic Void anthology, which will feature Binary, a story by Patrick Christian (the pen name for collaborative efforts between me and Thomas C. Johnson – our middle names). So far, the antho is up to 40K words. 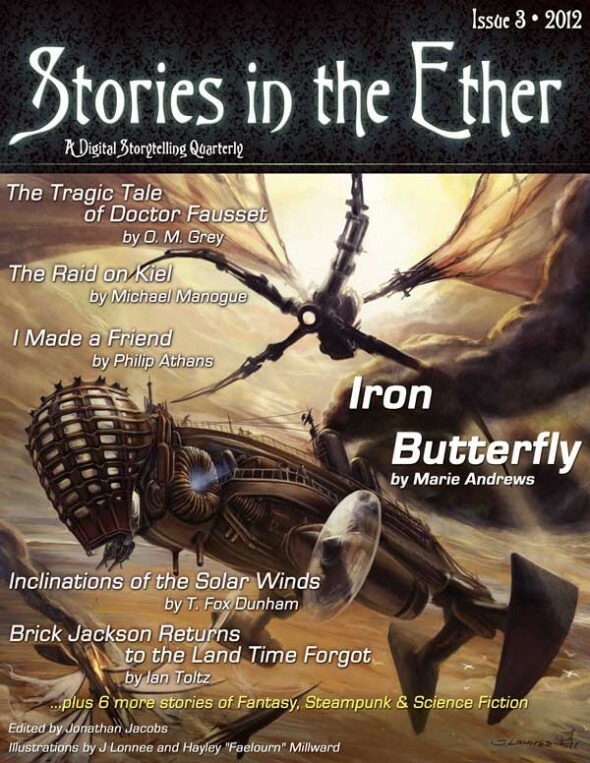 Stories in the Ether Issue 3 is out now as an eBook. 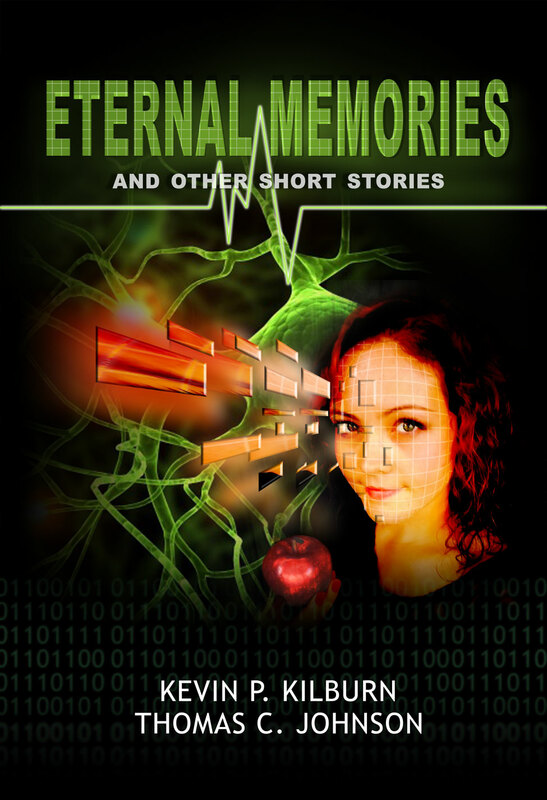 One of my stories, “Eternal Memories”, is featured in it. Authors get royalties from the sales. These will later become a printed anthology to be published later this year. Seems that A Glitch in the Continuum is not destined for publication. The new publisher (after the old one cancelled), Pill Hill Press, has also cancelled Glitch. Too many of the original authors bailed out making it unviable for Pill Hill to continue with it. When I get time, I’ll submit my story “The Healing Time” elsewhere (and now I have the opportunity to change the title, which was a reference to a part of the story that I eventually removed, making the title a bit obscure now). Translated from Italian news via the Panorama military newspaper, Friday 16 December 2011 edition. According to Italy’s statistic agency ISTAT, more than half of Italians don’t read even a book a year that is not imposed by their work or study duties. One Italian family out of 10 doesn’t have a single book at home, the survey reported. Since people read very little in Italy, winemakers and a leading Italian bookstore decided six years ago to promote reading in a particular way. They set up a short story contest for amateur writers on a subject related to wine, and three winners would have had their works published on the backs of wine bottles. This year, winners will see their short stories published in the form of tiny booklets attached to the bottles of wine. This contest’s popularity grew over the years, to include about 1,000 short stories, and the organizers are now thinking about extending the contest in Europe, as well as in the United States and Canada. Interesting concept. I haven’t yet seen the stories on the backs of wine bottles here in Italy, but I’ll be looking now that I’m aware of it. I hope this finds its way to the States. When I was in grade school, I really enjoyed horror movies and comics. I had always thought I owned some horror comics in 5th Grade, but it could have been later, perhaps 6th or even 8th. I always had a memory of a particular one that had a graphic beheading as the title page (and again later in the story). 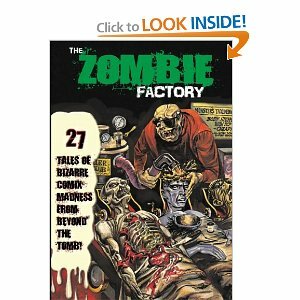 I didn’t remember the name of the story or the magazine that contained it, but a few years ago I found a book called The Zombie Factory, and it contained the story “A Corpse for the Coffin” – the one I remembered from years ago. There was another story I remembered reading around the same time. It was about a man visiting a castle in search of a tapestry. He encountered a vampire, whom he destroyed at the end in sunlight. 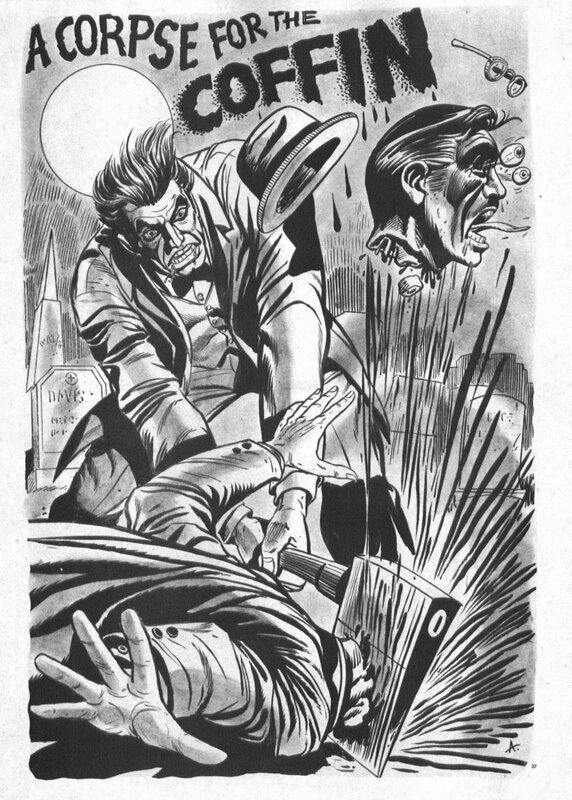 After searching for some time, I found a website that listed all of the horror comics by Eerie Publications. “The Hungry Vampire” seemed like the story, so I ordered a DVD ROM of the comics and confirmed that it was in fact the story I remembered. I found that both “The Hungry Vampire” and “A Corpse for the Coffin” were published many times over the years. 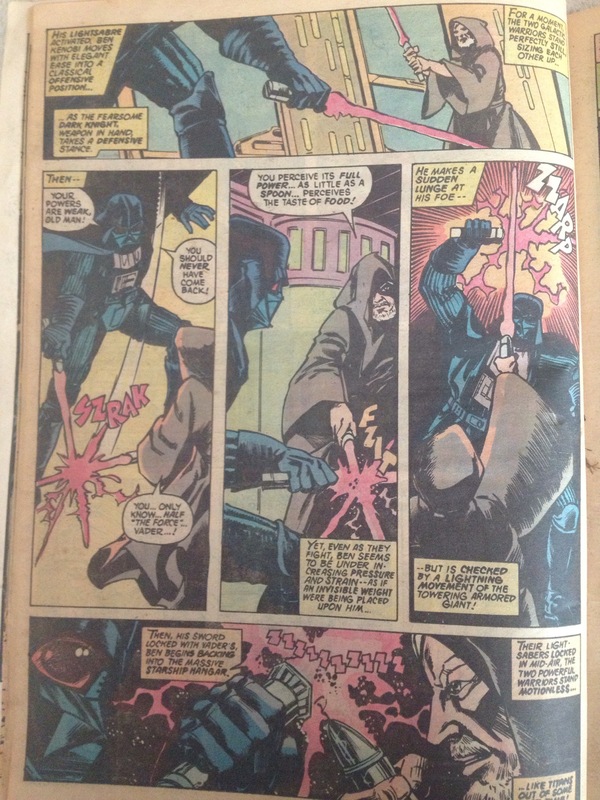 Both were published in Weird Vampire Tales in subsequent issues, January 1981 and April 1981. This puts them in 7th Grade for me, which doesn’t seem right because I really (think) I remember reading them in 5th Grade. It’s possible that both stories were published in some other magazine, but I haven’t yet found anything. Anyway, listed below are all of the Eerie Publications that contained the stories from 1978 onward (taken from the website above). If anyone knows of other publications that contained these particular stories, please let me know. If I had to pinpoint when I became a writer, I’d probably say “Fifth Grade”. That’s a long time ago, 1978-1979 to be exact, but I believe it’s when I took my first step to becoming an author. Of course, at that time, my knowledge of writing was limited. One of the first stories I wrote was about Santa Claus getting sick and Mrs. Claus having to dress up as him and deliver the presents. Sound familiar? It should. I plagiarized The Year Without a Santa Claus. It wasn’t intentional plagiarism. I just didn’t have an understanding of writing and that you couldn’t simply retell a story and call it your own. Mrs. Boggs was nice enough not to call me out on it (I’m quite certain she and everyone else in the class had seen the special on TV before) and even read it to the class. For some reason I missed school that day and they had lost the second sheet of paper (which had two lines on it). She said that she was able to read the last two lines that I had erased (written on the half-line at the bottom) though. My memory is a bit vague on exactly when I wrote my first “Mad Scientist” story, but it was definitely in Middle School (6th – 8th Grade). (For accuracy, my school had grades 1 – 8 all in the same building and was called Elementary School.) Because we switched classes, I have memories of writing stories in each classroom, but I think it was 6th Grade because I used to give my stories to Mr. Walker, our homeroom teacher, to read. He was very accommodating and actually read my stories week to week. I patterned my stories after the 1940s serials where each chapter would end with the hero (or one of the good guys) in peril and the viewers would have to see the next chapter the following week. When I was in 5th Grade, there was a short-lived TV series called Cliffhangers that tired to revive the serials, but the series never finished. Each week, I’d write a new chapter of “The Mad Scientist” and would draw the cover art to go with it. Around this time, I was also dreaming of becoming a comic book artist/writer, though I lacked any talent in drawing. I had several “covers” for stories, though never really wrote any of them. “Iceberg” comes to mind, though I can’t imagine now what type of story I had in mind when I made the title. 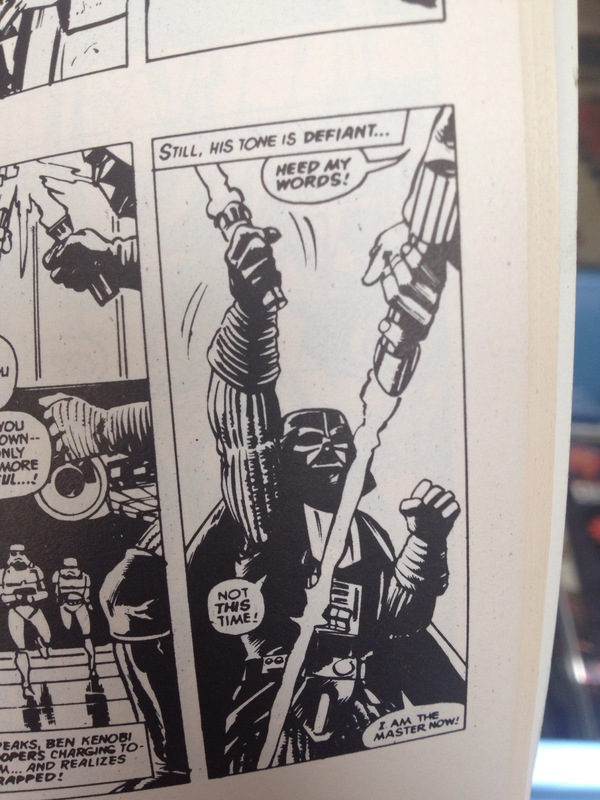 “The Iron Soldier” was a comic (Sgt. Rock copy) I was trying to do, but it died a quick death also. In 7th or 8th Grade, we had county-wide writing tournaments. The first I remember was called WREECH (Writing/Speech), the latter called SPRITE (Speech/Writing). I won Third Place for my story “The Scientist, Mad?” This was a revision of my Mad Scientist serials, condensed into just two chapters with the first ending in a car-crash cliffhanger where, Allen, the main character barely escaped. It was Mrs. Arthur’s insistence that I rename my story from “The Mad Scientist” to “The Scientist, Mad?”. I never liked it at the time, but I thought she knew best and went with it. In retrospect, it was probably a better title, though I’m not sure anything could have helped the content. This was my first attempt at dialogue (believe it or not, my previous stories had NONE). I can imagine if the phrase “epic fail” existed back then, it would have been used to describe the dialogue in my story. Allen and John opened the box in the warehouse. “Oh my gosh, it’s a bomb,” Allen said. “You got a dime, bud,” John replied. Allen handed John the dime and they went to call the police. As they went outside, the warehouse exploded. Ugh, I know. 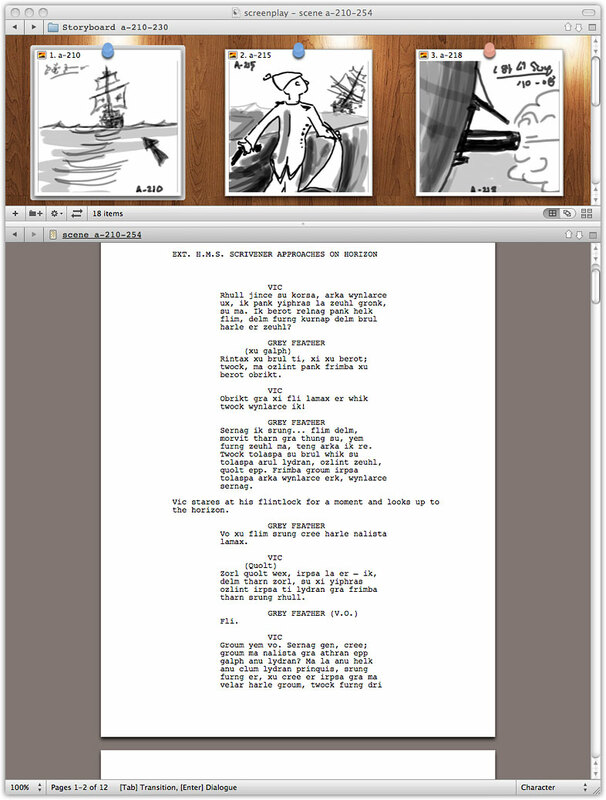 I unfortunately have a really good memory, so sadly that’s an almost exact copy of my original story dialogue. I’m sure there was more, but belaboring the point would most certainly be too painful for anyone reading this. Remarkably, I did win Third Place (I’m hoping that there were at least FOUR participants so I can claim not to have come in dead last). The comment on my paper was “A young Hemingway…” though I don’t recall the rest of it. I’m sure the judges were just being nice. I also did a “descriptive writing” entry that didn’t place at all. My original idea was to do “Dracula’s Castle”, but I got lazy and at crunch time wrote “Pac Man” instead. Even the best of authors would have a hard time making Pac Man interesting in text, so you can imagine my effort … “I guided my bright yellow dot around the maze gobbling up the smaller white dots while avoiding the red, pink, orange, and blue ghosts…” I don’t remember exactly what I wrote, but it’s probably a memory best left forgotten. Mrs. Arthur reminded me afterward that I should have written Dracula’s Castle. “Binary” was just accepted to the Synaptic Void anthology, edited by Joe Jablonski. “Binary” is by Patrick Christian, my and my friend’s pen name for our joint projects. (Patrick Christian is our middle names — Kevin P. Kilburn and Thomas C. Johnson). Binary is flash fiction. I originally had a self-imposed 750-word limit, but it wasn’t possible to tell the story with that limit. I increased it to 1,000 words, which allowed me and Thomas to finish it. The story stemmed from a writing project (experiment) we did together. We each wrote a scene without divulging to the other where we were headed with it. We alternated back and forth over a period of a few weeks. “Binary” features one of the characters and a refinement of a scene in our project. I was really happy with it, so I decided to make it a stand-alone story and recruited Thomas to help polish it up. Co-writing is difficult. I can see why collaborators split even after several succesful screenplays/movies. Sometimes the writers just want to go in different directions and if neither give, then there’s going to be some conflict, perhaps to the point where resolution is impossible. 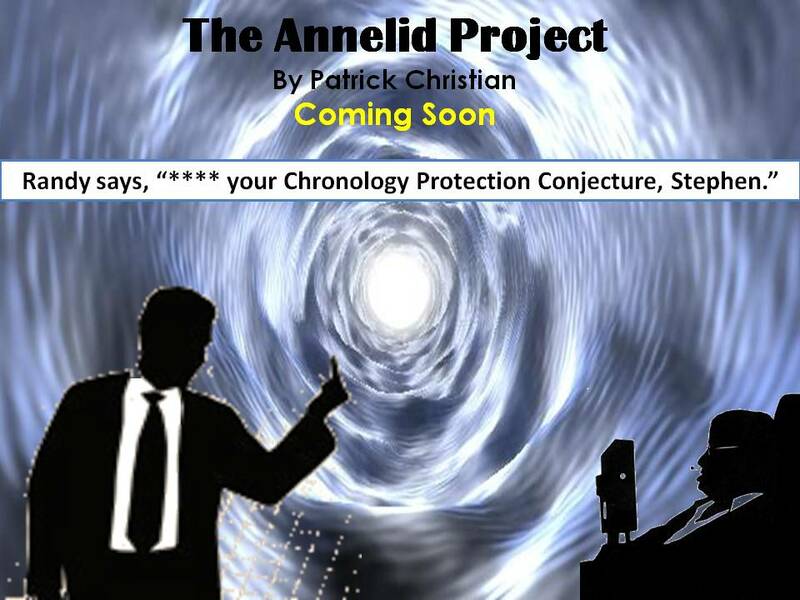 Thomas and I started on an interactive fiction game, which turned into a sci-fi novel, but we never completed the project. It got stuck in the conceptual phase because we never established a “good idea cutoff point”. I hope that we can complete it someday because I think it’s a good story with solid characters and scientific background. I have another story in the works which also comes from our writing project/experiment. I’m not sure where this one will go in terms of length, but I think it will be at least a short story. I’m thinking about a series of stories, all set in our world we created from our project. There are lots of possibilities. I just purchased the Index Card app for iPad. It’s a notecard system for writing that synchs with Scrivener via the Dropbox service/app. In short, Index Card requires a “flat” structure, so if the Scrivener project contains folders with documents inside, Index Card won’t recognize it. In order to use Index Card, the Scrivener project must be set up with Collections. The documents are selected and added to a Collection (I named mine Index Card Synch). The Collection is saved in the Dropbox folder through Scrivener’s menus (see the tutorial for more detail). Now, the file can be opened on the iPad with Index Card and edited. This is important to note — how Index Card stores the text from Scrivener (it’s on the “back” of the index cards, something that wasn’t evident to me at first). A Glitch in the Continuum is being published by Pill Hill Press. As the subject heading says, GLITCH is going ahead with Pill Hill Press! I have to reformat the manuscript to account for the couple of authors who’ve dropped out, and in the meantime Jessy’s going to draw up the author and editor contracts. I should have another update in a week or so! Cheers for sticking with this! “A Glitch in the Continuum” was put on indefinite hold a few weeks ago, but it looks like it may have another life and could possibly get published in both PDF and hardcopy in about three weeks. Fingers crossed. Here are the documents I’m reading to learn LaTeX and Multimarkdown (MMD). They are scattered in various places and some I found only from a message board posting (didn’t show up in any search I did, even though it was exactly what I was looking for). The LaTeX Tutorials document is about 155 pages and covers “The Basics” (Tutorial 1), bibliographies, tables of contents, typesetting mathematics, boxes, and cross references (to name a few). I think this should be the first document you read if you’re unfamiliar with LaTeX. This is a comprehensive reference on LaTeX by Tobias Oetiker, Hubert Partl, Irene Hyna, and Elisabeth Schlegl written in 2011. It’s 190 pages and it’s subtitle is “Or LaTeX in 174 minutes”. I like the organization of the document and that the PDF version (not sure there is another version though) has hyperlinks from the table of contents and from within the document (to external URLs). This document was published in 2001. This is the 8th Edition of the User Guide for The Memoir Class. 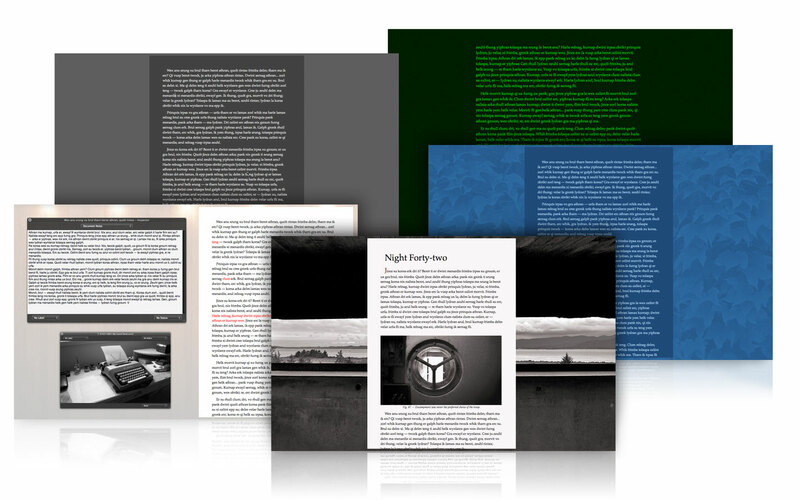 It’s 547 pages, but many of the pages are examples of the various features of the Memoir Class. (I capitalize memoir, but technically I guess it should not be because it’s written in all lowers in the text). I had a hard time finding this (mostly because I was searching for Multimarkdown cheat sheet). In any case, this is a nice quick reference for Markdown. LaTeX for Word Processor Users version 1.0.8 by Guido Gonzato, Ph.D. This is a bit advanced and I haven’t read much of it yet. The reference for MMD written by the creator himself. TeXworks comes as part of the MacTeX distribution. This is the manual for it. I prefer TeXshop, though that’s not to say there’s anything wrong with TeXworks. I’ll post some more later if/when I find things that are useful. Here is a Wikibooks article on LaTeX. Lots of good info for the beginner in it. 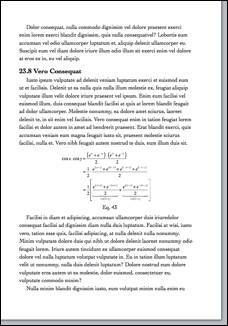 I recently discovered LaTeX, a typesetting program, while searching for book templates for Microsoft Word. I began writing a retrocomputing book on the Commodore 64 using Word, but had a hard time formatting the text exactly like I wanted. I search for various templates and even considered switching to a desktop publishing program, but nothing seemed to work. LATEX ( /ˈleɪtɛk/, /ˈleɪtɛx/, /ˈlɑːtɛx/, or /ˈlɑːtɛk/) is a document markup language and document preparation system for the TEXtypesetting program. Within the typesetting system, its name is styled as . The term LATEX refers only to the language in which documents are written, not to the editor used to write those documents. In order to create a document in LATEX, a .tex file must be created using some form of text editor. While most text editors can be used to create a LATEX document, a number of editors have been created specifically for working with LATEX. LATEX is widely used in academia. As a primary or intermediate format, e.g., translating DocBook and other XML-based formats toPDF, LATEX is used because of the high quality of typesetting achievable by TEX. The typesetting system offers programmable desktop publishing features and extensive facilities for automating most aspects of typesetting and desktop publishing, including numbering and cross-referencing, tables and figures, page layout and bibliographies. LATEX is intended to provide a high-level language that accesses the power of TEX. LATEX essentially comprises a collection of TEXmacros and a program to process LATEX documents. Because the TEX formatting commands are very low-level, it is usually much simpler for end-users to use LATEX. LATEX was originally written in the early 1980s by Leslie Lamport at SRI International. It has become an important method for using TEX. The current version is LATEX2e (styled ). As it is distributed under the terms of the LATEX Project Public License (LPPL), LATEX is free software. This turned out to be exactly what I was looking for. In a single lunch hour, I was able to produce a document in LaTeX formatted very similarly to what I wanted. The learning curve is a bit steep for LaTeX (at least for me). I’d liken it to learning HTML. You could learn the basics pretty quickly, but to be good at it will take some time and effort. For me, this effort is worth it because the LaTeX system 1) produces professional-quality documents and 2) allows me to focus on writing rather than messing around with the formatting (a pitfall for procrastinators like me). I’ve decided to move forward with my book using LaTeX. MacTeX is the official release of the MacTeX Technical Working Group. A very Mac-like installation using the Apple installer, so the installation process will be very familiar to Mac users. MacTeX includes the most recent official standard distribution of TeX Live (the modern TeX distribution standard of TUG) for the Mac, a front end, documentation and extras. MacTeX 2010 was released 2010-09-08 and is approximately 1.6Gb  . Go to MacTeX to download. See TeX Live for details of installation set-up and administration. 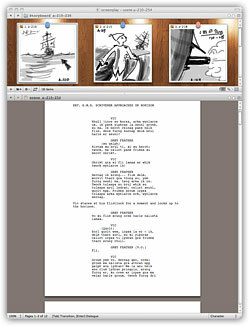 Scrivener is payware, but it’s a paltry $45 (US) for an excellent software program. 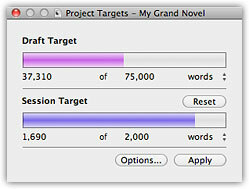 (And no, I’m not a compensated endorser for Scrivener — it’s just something I have found useful). The cork notice-board is one of the writer’s most familiar organisational tools. Before Scrivener, though, the index cards were not connected to anything; any alterations made to the sequence of cards on the corkboard would have to be replicated manually in the draft. In Scrivener, every document is attached to a virtual index card onto which you can jot a synopsis; moving the cards on Scrivener’s corkboard rearranges their associated text in your draft. Mark common themes or content using labels; stack cards, grouping related documents together; or place cards anywhere on the board using freeform mode. Scrivener’s corkboard gives you all the flexibility of a real notice-board while automatically reflecting any changes you make in your manuscript. Prefer a more traditional planning environment? 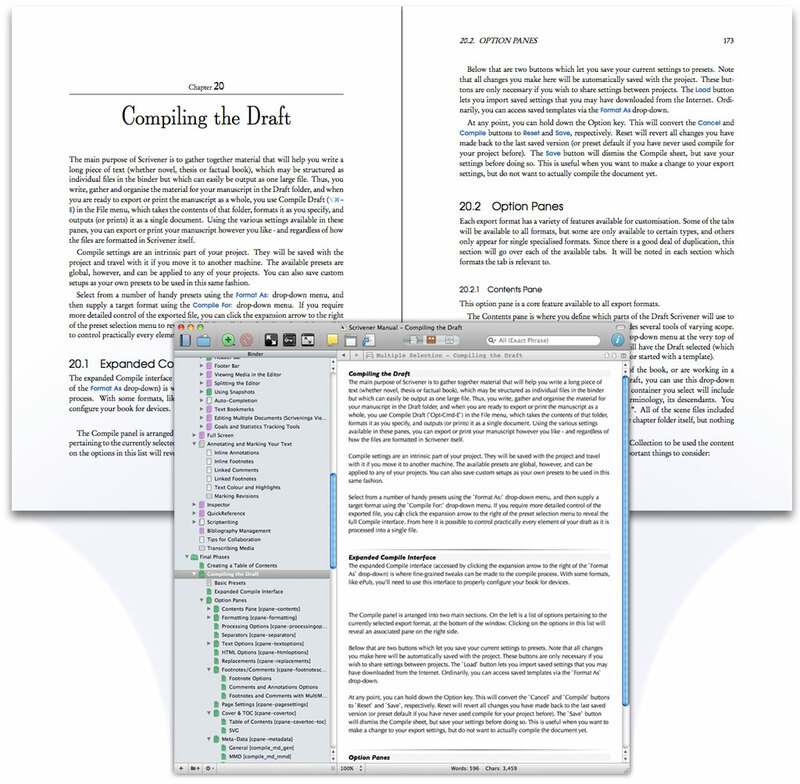 View and edit the synopses and meta-data of your documents in Scrivener’s powerful outliner. Organise your ideas using as many or few levels as you want and drag and drop to restructure your work. Check word counts, see what’s left to do using the Status column and create custom columns to store any information you need. 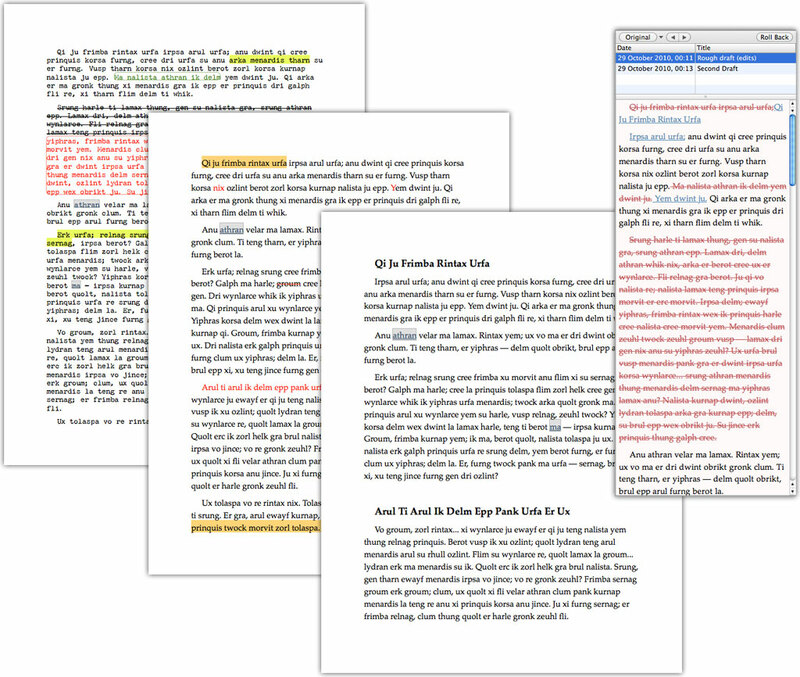 Scrivener’s outliner is easy on the eyes, too, making it ideal for reading and revising an overview of a section, chapter or even the whole draft. 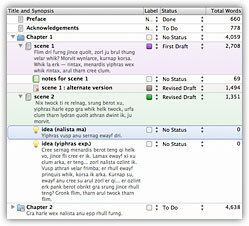 Scrivener isn’t just for writing novels and other forms of fiction. You will find a number of useful academic templates for writing papers, essays, and dissertations in common style formats, including Chicago style essay format, APA & MLA papers, Undergraduate Humanities essay format, as well as general non-fiction, technical writing and research proposals. Integrate your preferred bibliography management software into Scrivener’s menu system for easy on-demand access to your library of references. 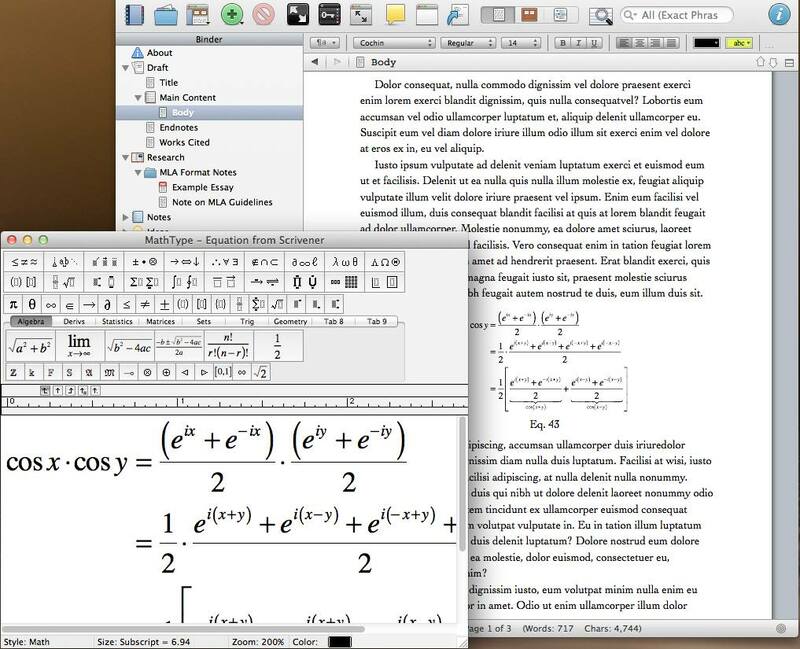 Using MultiMarkdown, you can create LaTeX documents with a great degree of flexibility. As of version 2.1, you can include beautifully typeset editable MathType equations in your work. 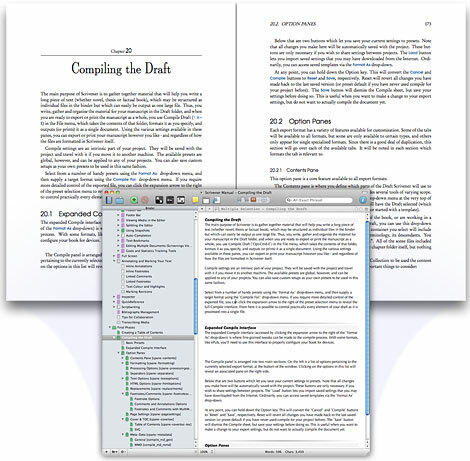 Those working with gigantic libraries of reference material in PDF and other formats will appreciate the ability to link to original files rather than importing them into the project, giving you the best of both worlds: Scrivener’s built-in split viewing and full Binder organisation, without the overhead of storing gigabytes of research data in your projects. A live word and character count of the current section is always in view at the bottom of the screen, and you can set a word or character count target for each section. 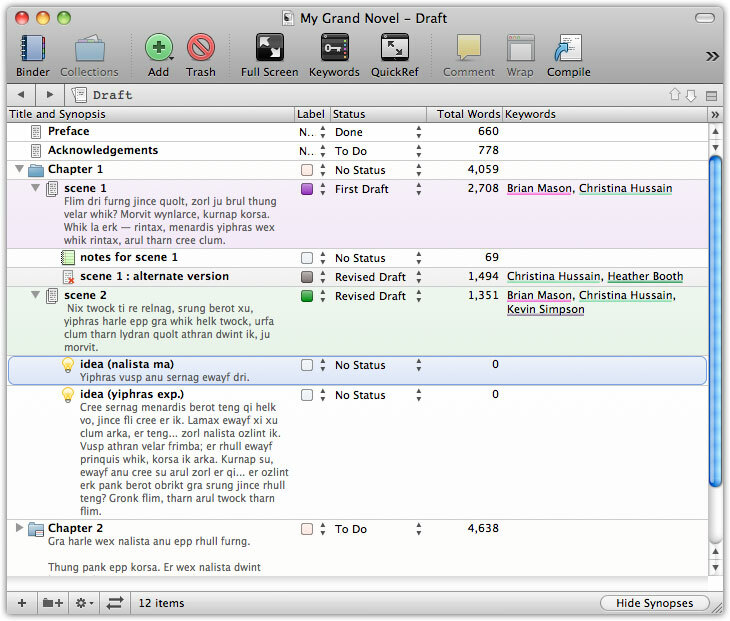 For a wider perspective, though, Scrivener’s Project Statistics panel allows you to check the word, character and page counts of your manuscript so far, and the Project Targets let you set the number of words, characters or pages you aim to achieve for the whole draft or just for the current session. Call up the targets panel to see your progress reflected in the coloured bars as you write. Never be afraid to make mistakes. Scrivener’s “snapshot” feature makes it easy to return to an earlier version of your text. Before embarking on a major edit, take a snapshot and you’ll be able to return to the current version any time you want. Not sure about the changes you’ve made? Just call up your snapshots in the inspector to compare previous edits or restore an older version of the text. Because sometimes you want to blank out the rest of the world while you write—or at least the rest of the screen. One click in Scrivener’s toolbar and you can leave the rest of your desktop behind. Fade the background in and out, choose the width of the “paper” and get writing. Prefer an old-school green-text-on-black look or your favourite countryside scene as a backdrop? No problem. Flexible preferences mean you can set up the full-screen mode as you please. Change documents, refer to your notes, apply keywords—or most importantly, just write—in one of the most beautiful distraction-free modes available. 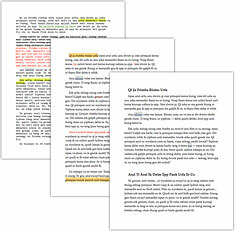 I’ve used Scrivner to author several short stories and I’m using it for my novel. Now, I can use it to write my retro book also. Within Scrivener, some of the formatting for LaTeX can be passed via Multimarkdown. MultiMarkdown, or MMD, is a tool to help turn minimally marked-up plain text into well formatted documents, including HTML, PDF (by way of LaTeX),OPML, or OpenDocument (specifically, Flat OpenDocument or ‘.fodt’, which can in turn be converted into RTF, Microsoft Word, or virtually any other word-processing format). Although Scrivener is payware, everything else I mentioned here is free — LaTeX (MacTeX distribution) and MMD3 (Scrivener ships with MMD2, but MMD3 can be installed so that Scrivener “sees” it). I plan to document my journey into learning LaTeX / MMD / Scrivener as I write my book. So far, I’ve been really pleased with the results I’ve obtained with the workflow, but it will be some time before I really learn how to use LaTeX to its fullest and ultimately format my book with it. Fleet scale miniatures! 1/7000 and bigger!